A while back on ATUU TV Show hosted by Abeiku Santana, self-acclaimed Dancehall King Shatta Wale indicated that he is a threat to every Ghanaian artiste in the country. Well, that does not seem to be true to his fellow Dancehall artiste Stonebwoy. The Bhim Nation president and “Hero” hitmaker in the latest episode of the ATUU TV Show revealed to the show host that he believes what he is a big threat to Shatta Wale because he’s doing something significant and laudable that Shatta Wale is paying close attention to. 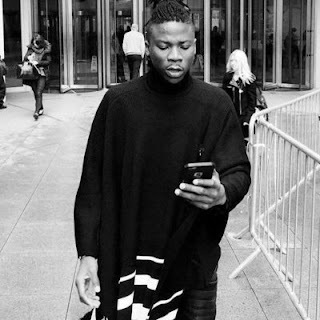 “Absolutely, I believe I am a threat to Shatta Wale because I am doing something very significant and laudable which he’s paying close attention to,” Stonebwoy replied.